The winners of the Writers' Guild Awards 2017 were announced last night (23 January), with two NHB authors among the recipients. Caryl Churchill's Royal Court drama Escaped Alone was named Best Play. Described by the Observer as 'a light-on-its-feet, elliptical view of apocalypse', it returns to the Court this week, before embarking on a UK tour. The Best TV Situation Comedy category was won by Fleabag, the hit comedy series by Phoebe Waller-Bridge based on her award-winning play of the same name. Adapted from her stage monologue, the series was first seen on BBC Three to critical acclaim, before being repeated on BBC Two and also screening in the US on Amazon Video, where it was nominated for two Critics’ Choice Awards. Nick Hern Books was also a proud sponsor of this year's Writer's Guild Awards, and we're delighted to support this celebration of stunning creativity and the work of a wonderful organisation. To see the full list of winners and nominees, visit the WGGB website here. 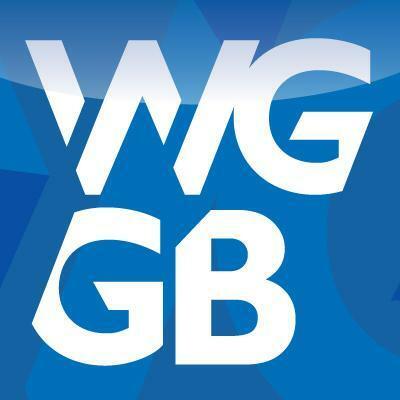 SPECIAL OFFER - GET 25% OFF WGGB AWARDS WINNERS! To celebrate their success at the Writer's Guild Awards, we're offering you a 25% discount on both of the winning NHB plays: Escaped Alone by Caryl Churchill and Fleabag by Phoebe Waller-Bridge! To claim the discount, simply enter code WGGB17 at checkout when ordering via our site. This offer is valid until 31 March 2017. Nick Hern Books is delighted to announce the five plays selected for publication in Plays from VAULT 2, our anthology of plays selected from the best new writing on display at this year's VAULT Festival. The dark underside of the Greatest Story Ever Told is exposed in Testament. Tristan Bernays presents four overlooked Bible characters – a ragtag group of women, children, outcasts and thieves – and relocates them in modern-day America, giving these lesser-known voices a chance to tell their side of the story. In Rebecca Walker’s Wretch, an ex-teacher and an ex-junkie meet on a night bus during long, dark nights of homelessness. A year on, Irena has rebuilt her life. But just as she thinks she is safe, Amy crashes head-first back into it with bigger dreams for life’s second chances. Brad Birch and Kenneth Emson’s This Must Be the Place offers two short ballads about migration, missed connections, and life on the edge of respectability. Two friends, fugitives from their problems, try and start again in the big smoke but find themselves waiting on the margins still. A man in the midst of crisis tries for a clean break from technology, connectivity and the pressures of city life. 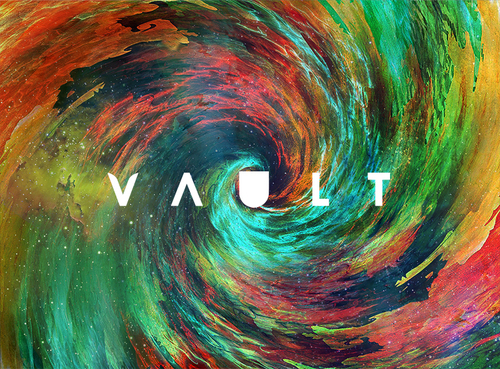 One of the most exciting events on London's cultural calendar, VAULT Festival returns from 25 January to 5 March 2017 at its original home beneath Waterloo Station and, for the first time, at satellite venues Network Theatre and Morley College. Boldly diverse, the programme features a myriad of shows exploring many themes via many more mediums. New bars and a fresh food offering, plus a dazzling array of late night parties complete a must-do destination event for the New Year. Tickets are available now via their website. Plays from VAULT 2 continues a partnership that started at VAULT 2016 with Plays from Vault: Five new plays from VAULT Festival, which welcomed five new plays and writers on to the illustrious NHB list. Published 9 February, this year's anthology is avaialble to pre-order now, and will also be on sale at the Vaults, online and in major bookshops. The nominees for this year's Manchester Theatre Awards were announced today (16 January), with a whopping eight NHB-published plays shortlisted across various categories. Katherine Soper's 2015 Bruntwood Prize-winning play Wish List received four nominations: Best New Play, Best Studio Production, Best Actress in a Studio Production (Erin Doherty) and Best Actor in a Studio Production (Joseph Quinn). A sensitive, delicate and powerful play that asks what our labour is worth and how life can be lived when the system is stacked against you, it is currently playing at the Royal Court Theatre, London, following its premiere at the Manchester Royal Exchange last year. Also nominated for Best New Play is Bird by Katherine Chandler, winner of a Judges' Award in the 2013 Bruntwood Prize for Playwriting. It also receives a nod for Best Actress in a Studio Production (Georgia Henshaw). This raw, delicate and bold story of growing up outside a family, but inside the fiercest of friendships, was praised by the Guardian for its 'blasted beauty... like its teenage protagonists, [it is] a small, fragile thing with a fiercely beating heart'. The Royal Exchange's acclaimed revival of Pulitzer Prize-winning play Wit by Margaret Edson is shortlisted for Best Production and Best Actress (Julie Hesmondhalgh). Also nominated in the acting categories are Simon McBurney for stunning Complicite show The Encounter (Best Actor in a Visiting Production) and Molly Vevers for James Fritz's striking Ross & Rachel (Best Actress in a Studio Production), while The James Plays by Rona Munro is recognised for Best Ensemble. The James Plays and The Encounter are also both nominated for Best Visiting Production. Finally, two other NHB plays join Wish List on the shortlist for Best Studio Production: the linguistically inventive and sweetly funny Lemons Lemons Lemons Lemons Lemons by Sam Steiner, and Jack Thorne's intimate, tender The Solid Life of Sugar Water. The winners of the 2017 Manchester Theatre Awards will be revealed at a ceremony at HOME, Manchester, on Friday 17 March. To see the full list of nominees, visit the MTA website here.